This project was undertaken at a private residential property in Benfleet, Essex. 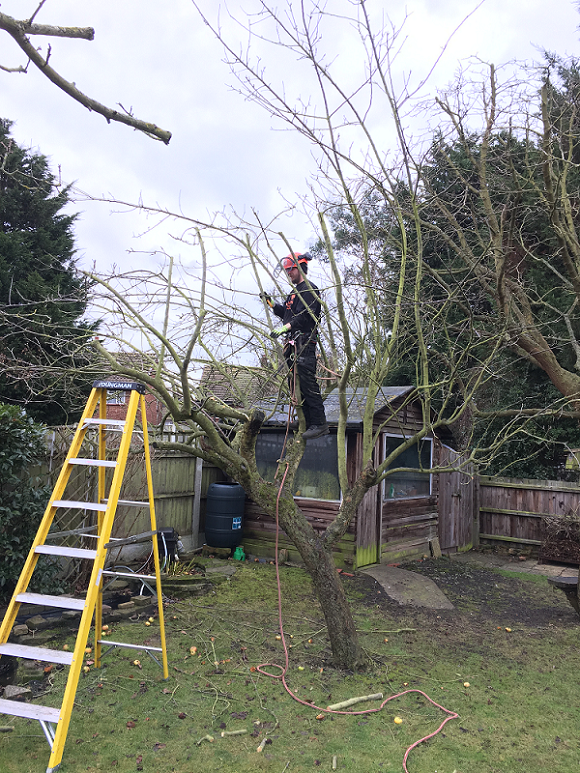 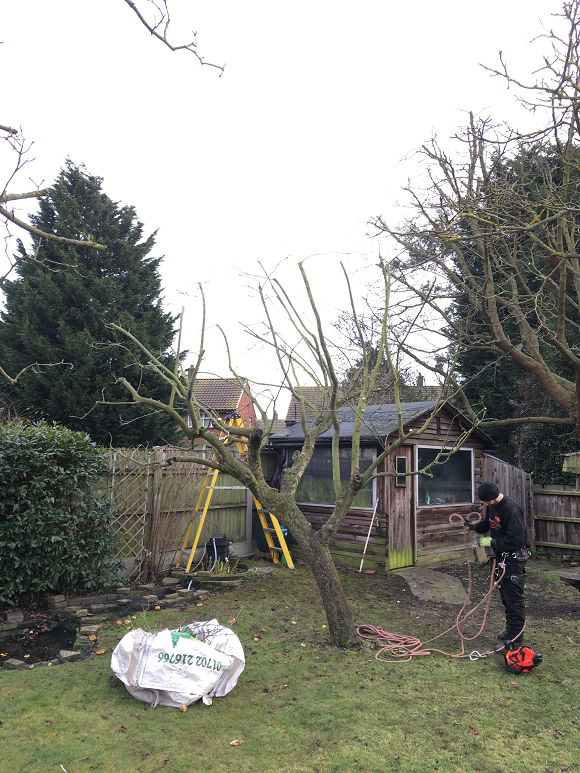 The crown reduction of the apple tree was in addition to other various tree surgery works undertaken in this garden. The apple tree crown reduction was the first time this employee had practised climbing. 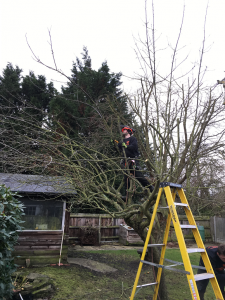 Performing the crown reduction and thinning allows improved air circulation throughout the trees canopy.